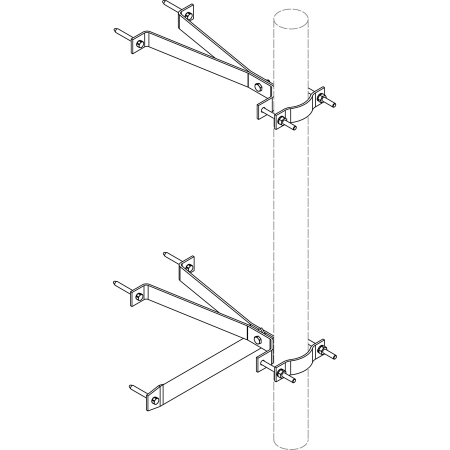 Antenna Wall Mounts are used to mount varied mast sizes to most walls. All mounts include both the upper and lower bracket unless otherwise specified. Mounts over 8" include a third compression support leg on the bottom bracket for additional support and stability. Mounts are recommended for use with a mast less than 5 feet long and antennas with 2 square feet or less of surface area. Each mount comes 1/4" x 2" lag screws for mounting to most surfaces.